Multiplayer Games is a grate category created on 03 December 2017 on 2-Player.com for these kids that are interested to play Multiplayer Games. In this category you will find 304 free games for kids that are interested to play Multiplayer Games, but if you can't find a special 2 player game in this category, please feel free to inform us and we will try to add this game for you as fast as we can. We hope that you know that you can rate these Multiplayer Games any time you want, and in this way this game ategory obtained 193 votes and the average of votes is 99%. Don't forget that you are playing 2 player games on 2-Player.com and try to help us with a share on youre friends. Our goal here on 2-player.com is to bring for you dear friends a lot of fun and interactive games that you can play with friends, family or colleagues. Today, you can see that we are bringing here on 2-player.com a new games category, in which you can play exclusive multiplayer games from different other little games categories. In our latest Multiplayer games category, you dear friends have the chance to play fun games with players around the globe. The multiplayer games are based on servers which you are login in when you open the games. 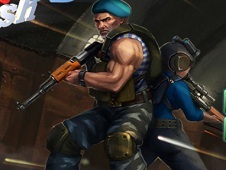 These multiplayer games gives you the opportunity to play fun games from your home and be in different sides of the planet, and that means that you have to be very careful and very fast, because this is the only way that you will manage to gain points and become the best multiplayer games category player. In this new category, you can see that we are going to bring for you fun Ability games, Car games, Racing games, Shooting games, Minecraft games and many other awesome types of games that you can think of, and you can see that we are going to start bringing masive amounts of Multiplayer games for kids here on 2-player.com. This wesbsite is an exclusive 2 players, 3 players and from today on, multiplayer games that you can play for free, so tell your friends that on 2-player.com, you can sign up for the most interesting racing games with 3D cars. 3D shooting games, 3D ability games and logic games for children than can help your brain develop more and more, and that means that you can grow smarter if you play our multiplayer logic and ability games that keeps your mind working in each and every one of our levels. As we said, from today, here on 2-player.com, you will have the chance to play awesome multiplayer games with all your friends in your home or from all around the globe, so we are sure that you will have a great time playing our free games for kids. New surprises are baked as we speak, so return as often as possible here on 2-player.com to see which are the newest online multiplayer games for boys and girls, and which are the latest two players games that you can play with all your friends, and at last which are our latest games categories that you can look into, and find your favorite type of game. Have fun!